The Travel & Adventure Show is a series of travel shows in seven cities across the United States, with San Diego being the newest addition. 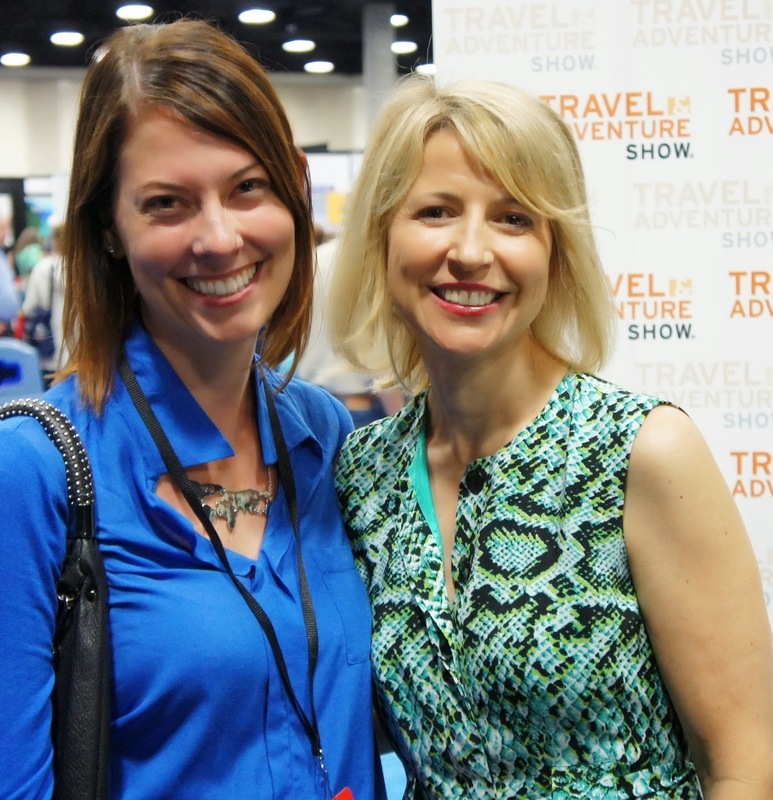 We attended the inaugural San Diego Travel & Adventure Show and got to listen to some inspirational travel speakers including Samantha Brown, Patricia Schultz, and Jorge Meraz. There were also a number of booths with representatives from tourism boards and tour companies, plus some fun activities like a rock climbing wall and a Segway course. My favorite speaker of the weekend was Samantha Brown, the girl with the best job in the world. I was very excited to learn that she will be coming back to the Travel Channel with a new travel show. Samantha Brown shared her tips on how to make travel count. I will confess I can be guilty of this. Sometimes when you’re visiting a truly historic destination, it can be hard not to spend all your time visiting castles, churches, and museums. Samantha Brown found her love for travel in Latin America where she learned there was more than just historic attractions. It was in Latin America where she learned to be in the moment. So I’m kind of tired of the phrase “get lost in the back streets.” But I loved Samantha Brown’s take on a similar concept. She said, “go down streets you think look good.” When you go down those streets, that’s when you can be part of the everyday life and have those “I am here” moments. Similar to the “don’t spend all your time in the past" concept, the real feel of a place won’t be found in the must see attractions. It will always be found in the mundane activities of taking public transportation, having a coffee in a café, or a drink in a local bar. as suggested by a park ranger. The point? Have fun! 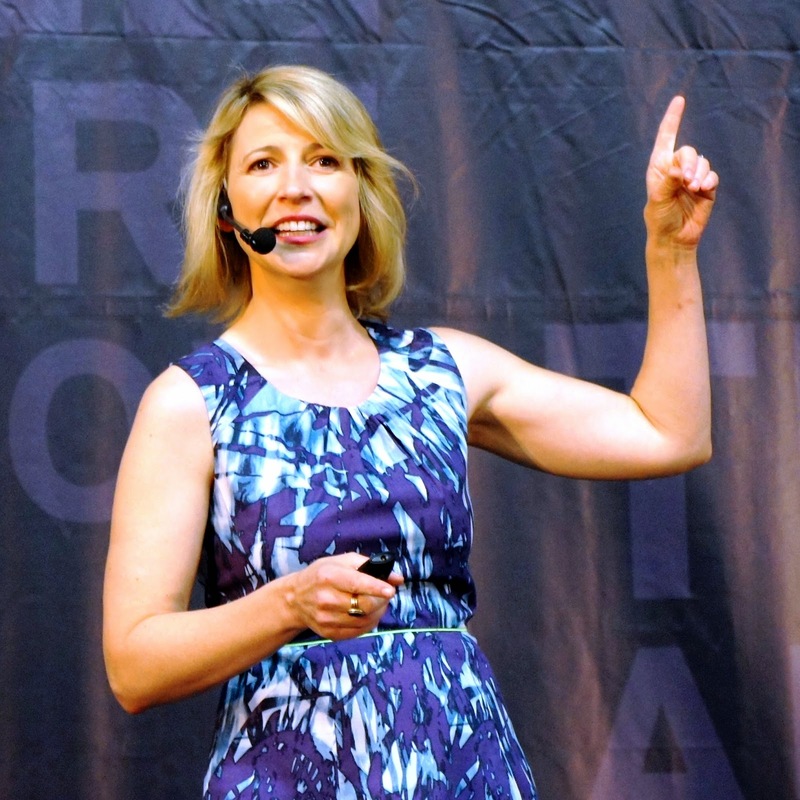 Samantha Brown spoke of how important it is to create a ritual while traveling. It doesn’t have to be a big, time-consuming ritual. It can be small, like taking a walk in the morning, or having breakfast at the same patisserie. The reason for the ritual resonated with me. Creating a ritual allows you to take a break from the obsessive thinking that comes from travel. Samantha Brown shared that she was fearful about not being able to communicate while traveling when she first started. But she learned that simply learning the phrases hello, please, and thank you in the local language and using them politely and with a smile went a long way with communicating to the locals that she was not from there, she was kind, and she was making an effort. Most locals will be eager to help and share their country if you provide a little bit of effort. way to order a street taco. Patricia Schultz shared some of her favorite destinations. She started her talk with an inspirational quote, “Better to see something once than to hear about it a thousand times.” While many of the attendees of the San Diego Travel & Adventure Show had traveled both within the United States and internationally in the previous year, that is not the norm. She urged that if you want to travel, just put it on the calendar. This is the very first important step to ensuring that your travel dreams become a reality. If it’s on your calendar for a specific date, you are more likely to take the steps to take that trip then if you just think someday you would like to go somewhere. Patricia Schultz encouraged travelers to not only visit the major cities, but to also visit the secondary and tertiary cities of a country, as those are where you will really get to know the country. I identify with this sentiment, as we usually visit a few cities in one country on during our travels rather than country hopping from one major city to the next. The big name speakers spoke in the Travel Channel Theater, but there were also speakers who focused on a specific destination or subject at the Destination Theater. 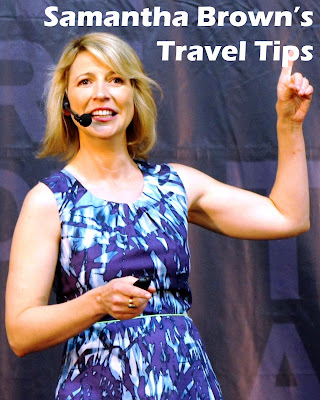 A fellow blogger, Angel Castellanos of Angels Travel Lounge, shared some great travel skills tips. My favorite tip for men was to buy a bunch of asparagus or broccoli from the grocery store, take that fat blue rubber band and wrap it around the wallet which you carry in your back pocket. Romeo’s wallet is a very smooth leather and is constantly slipping out of his back pocket. When pickpockets strike, they will actually push a wallet out of the back pocket by pushing it up from the bottom. The thick rubber band around the wallet provides extra traction that keeps it from easily slipping out. He also introduced us to Exofficio products, including men’s boxers, which are treated to eliminate bacteria and are highly breathable and quick-drying so theoretically only two pairs need to be packed for an entire trip. We immediately went to the A16 Outfitters booth and purchased a pair. Romeo will be testing them out. The amount of packing room they will save if he no longer has to pack 14 pairs of boxers is mind boggling! We attended both days of the show and spent the entire second day visiting travel booths and loading up on literature. There were a number of representatives from all over California, including Catalina, Santa Barbara, San Luis Obispo, Palm Springs, Yosemite, and Tri-Valley. Farther off places represented included Alaska, Mexico, India, Indonesia, the Philippines, Ethiopia, and South Africa. The Travel & Adventure Shows are currently held in Dallas, Chicago, San Francisco, San Diego, Los Angeles, Washington D.C., and Philadelphia. Be sure to plan on visiting the next one near you or, better yet, come out for the next San Diego Travel & Adventure Show in February 2015. We want to make sure they continue coming to our city! Visit the Travel & Adventure Show’s website for more information and upcoming dates.